Celebrating over 50 years in Sonoma County! Assistance League of Sonoma County has made a difference by improving lives in our community for over fifty years. One hundred fourteen trained volunteers contributed 19,562 hours of service by assisting Sonoma County residents through Assistance League programs. The major source of funds is Assistance League’s Thrift Shop, featuring quality resale items, the Redwood Empire Auxiliary’s annual tea, and donations. Assistance League is a 501(c)(3) nonprofit corporation and donations are tax deductible. 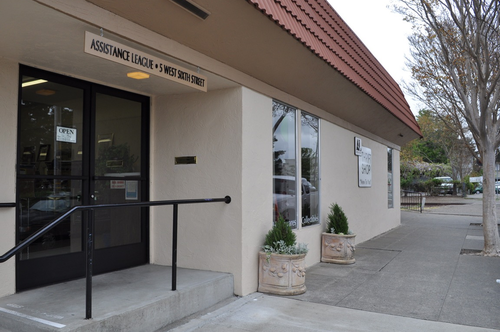 Assistance League of Sonoma County is a nonprofit organization composed of trained volunteers who identify community needs and respond to them with financial and hands-on support. To be a known and respected philanthropic organization meeting significant community needs. To develop a strong identity within our community. To respond to the changing philanthropic needs of the community. To be good stewards of our real property and monetary assets. To maintain membership growth, training and satisfaction.